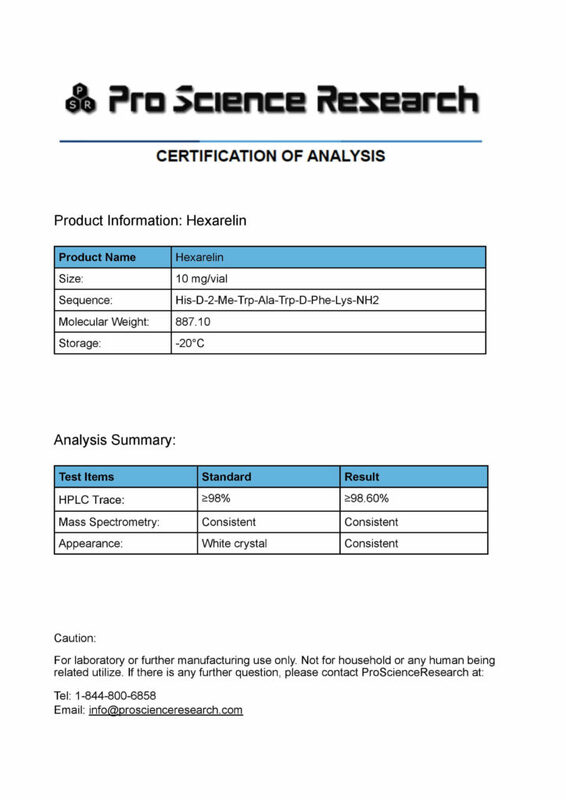 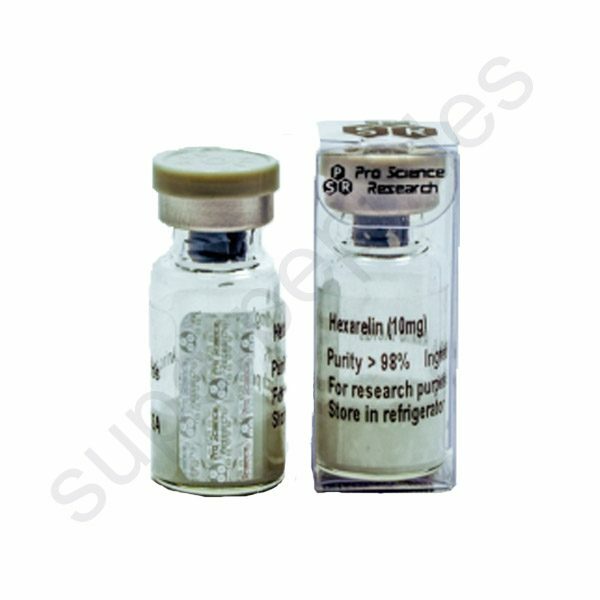 Examorelin, also known as Hexarelin is a hexapeptide with the amino acid sequence His-D-2-methyl-Trp-Ala-Trp-D-Phe-Lys-NH2 which was derived from GHRP-6. These GH-releasing peptides are sequentially dissimilar to ghrelin. 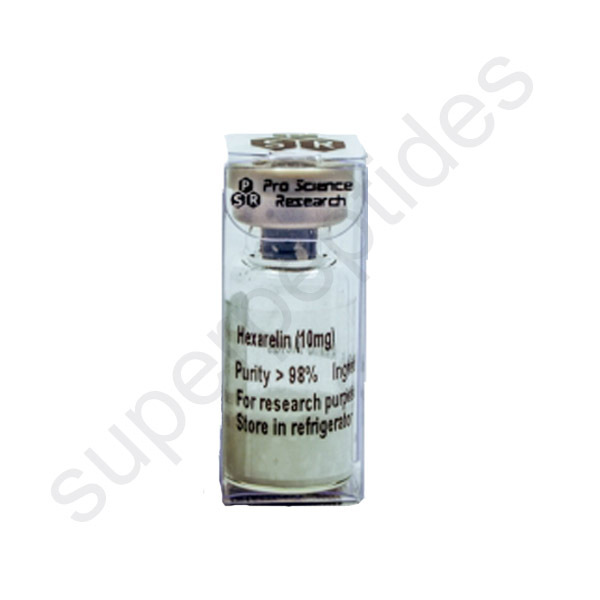 They mimic ghrelin by acting as agonists at the ghrelin receptor. Hexarelin causes significant release of growth hormone by itself, due both to its suppression of somatostatin (an antagonist to GHRH) and stimulation of release of GH from the anterior pituitary. It is a growth hormone secretagogue and ghrelin mimetic and analog. 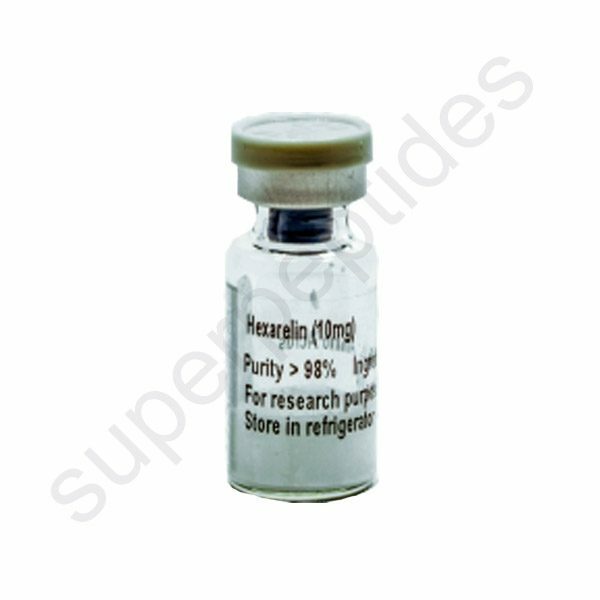 Hexarelin causes significant release of growth hormone by itself, due both to its suppression of somatostatin (an antagonist to GHRH) and stimulation of release of GH from the anterior pituitary, similar to other GHRPs. Similar to pralmorelin (GHRP-2) and GHRP-6, Hexarelin slightly stimulates the release of prolactin, adrenocorticotropic hormone (ACTH), and cortisol in humans.